Admission will be available from December and ends in January.,Parents / Guardians seeking admission for their wards should register their wards on the enclosed registration form.\nRegistration does not guarantee admission.\nAdmission is subject to a written test and interview conducted by the school admission committee.\nCandidates selected for admission will be given an admission data form and indemnity bond for completion of admission process.\nThe registered candidates ABOVE Std. II Till Std. 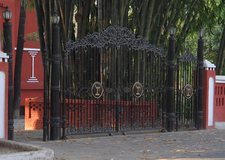 IX will be subjected to a written admission test followed by an interview with the principal.\nThe test will consist of English,Hindi, Mathematics,Science & General Aptitude.\nThe admission committee reserves the right to select the candidates based on their performance in the written test, interview, aptitude, personality, intelligence and other capabilities.\nThe school is not bound to furnish any reason for rejecting any admission.\nOnce the candidate is selected, he/she is required to fulfill all the formalities and pay the necessary fees within 15 days of selection.\nIf he/she fails to do so, the school is free to offer the seat to another candidate in order of merit or position on the waiting list.\nThe Date of Birth as declared at the time of admission cannot be altered later on in the school records.\nThe eligibility criteria for students for Admission to class XI, coming from other schools is as follows:-\nScience Stream:-Minimum 70% marks in aggregate & 80% in Science(80% marks in Maths)\nCommerce Stream:-Minimum 65% marks in aggregate. (60% marks in Maths, if this subject is chosen. )\nThe students who pass GCE/GCSE/IGSCE of London University may be considered for admission as follows:-\nScience Stream:-Minimum A Grade in Maths, ’A’ Grade in Physics/Chemistry/ Biology, B Grade in other 3 subjects.\nCommerce Stream:-Minimum B Grade in 5 subjects.\nNo admission is granted to Std. X & XII.\nA Provisional admission may be granted to a child in class XI in April 2014, in science and commerce stream.The admission is confirmed only after the board passing result and after qualifying in the written test and interview conducted by this school. 1.Birth Certificate.\n2.Transfer Certificate.\n3.Candidates Outside Uttarakhand Must Get The Transfer Certificate Counter Signed By The Appropriate Education Authority Of The State Concerned.\n4.Residential Proof.\n5.Medical Certificate.\n6. 4 Latest Passport Size Photographs.\n7.Zerox Copy Of Passport For NRI Students. Minimum Annual fees is 6,00,000 Rs. And Maximum Annual fees is 7,00,000 Rs. 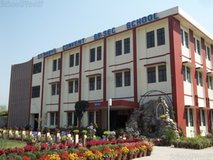 Best schools in Dehradun, Best schools in Jhajra, Best CBSE schools in Dehradun, Best CBSE schools in Jhajra, Best Coed schools in Dehradun, Best Coed schools in Jhajra, Best English medium schools in Dehradun, Best English medium schools in Jhajra.